Oxford University Museum of Natural History, with support from the Wellcome Trust and the Association for Science and Discovery Centres, delivers practical molecular biology workshops to A Level students from local schools. 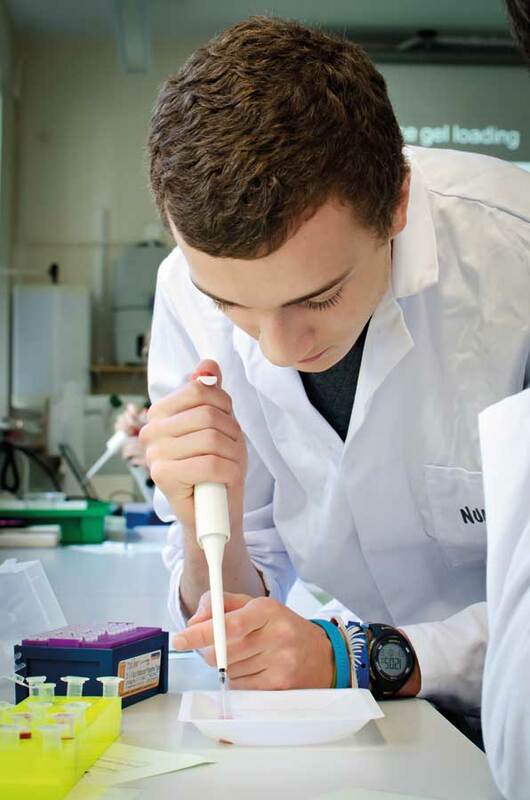 Using research-standard equipment, students extract, amplify and visualise their own DNA, complemented by museum-based work on fossil evidence for human evolution. Workshops are delivered by specialist education officers, while scientists from university departments provide practical support as students learn new techniques, and also have the opportunity to share their research and careers advice.